Thank you, Cathy. This nice splash of colour really more unusual for rural parts of Germany, in a tiny village. You are welcome. 😉 The Lower Oder Valley National Park is also nearby. Very clever – it took a whole for my eyes and brain to coordinate! Oh yes, illusions can be great pleasures. Have a nice day! That is so creative. What’s it used for now? 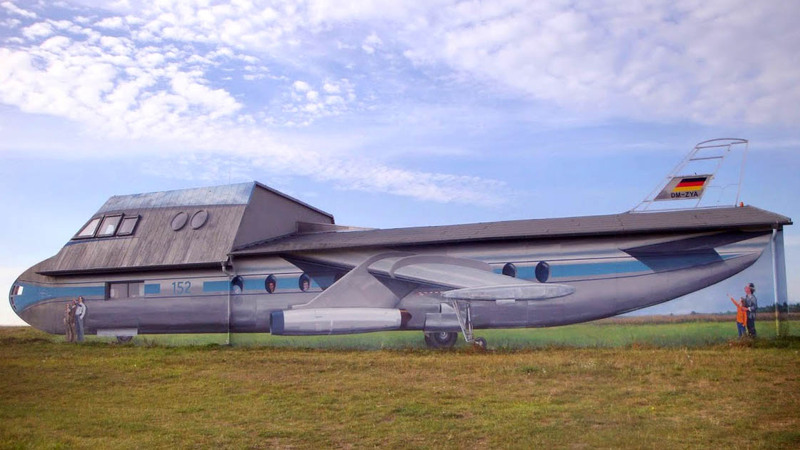 It is used as a small information centre for aviation locally (exhibitions and events). Nice approach in the countryside.